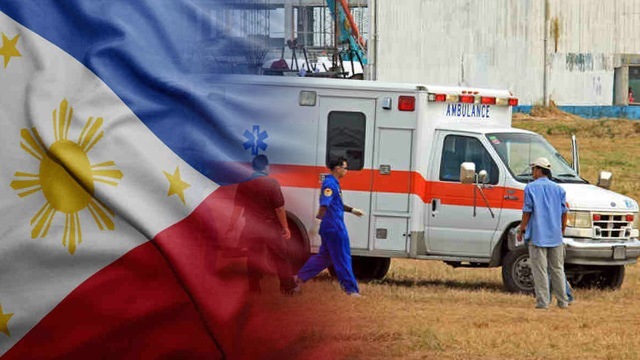 The Emergency Medical Services (EMS) of the Philippines has been since expected to become better. It is actually not unexpected that the EMS system in the country is far behind what other countries practice and provide, especially those who belong in the first world. The Emergency Medical Services is a coordinated system where its personnel provide aid to acute trauma victims before they are transported to a hospital. The services they provide actually fill in the gap between the scene of emergency and the hospital – which the EMS vital role comes into play. A competent EMS system is essential to the health care system of a country. It was found out that when an emergency medicine is provided to a victim prior to being mobilized into a hospital or care clinic, their survival rate becomes much higher. It was realized that the chain of survival among acute trauma victims, in a vehicular accident for example, becomes better when the roles of EMS were applied. The reality of Emergency Medical Services system in the Philippines is inefficient. The policies and standard of Philippine EMS system is not being followed – every EMS group has their own rules and regulations to follow. In fact, even though directives are already available, there is still no solid EMS system established in the country. One of the distinguished problems in the emergency medical services is that, although there is an act regarding emergency medical services being moved, it has not yet passed as a law. The government and other non-government organizations (NGO), including the institutions that are concerned with the movement has no concrete harmonious agreement. The lack of emergency medical services law may be attributed to the impasse that emergency medical technicians, first-aiders, pre-hospital care providers and paramedics are not identified as a profession itself. The EMS personnel are often being questioned of their capacity to provide competent aid as needed by acute trauma victims. This happens even though the emergency medical technicians received quality education and training to respond on emergencies. Another, although ambulance and rescue vehicles are available in every municipality in the country, not all of it is being used for actual emergency cases. Some are used for personal uses and for other services. On the other hand, hospitals and other institutions question the capacity of EMS providers due to the fact that there are responders who haven’t undergone official training. Such as during the transport of an acute trauma victim – a responder may go to the scene of incident and load the patient in the transport vehicle without proper assessment. These practices are dangerous as the rules on extricating the patient are vital to the chain of survival. In the hope that the system of emergency medical services in the Philippines improves, the Emergency Medical Technicians, Pre hospital Care Responders and Paramedics should be recognized as a profession in the country. Further, the act of institutionalizing an emergency medical services system should be passed as a law, in order for its practitioners to follow one standard rule. Moreover, the equipment and needed resources should be complete and appropriate. A very good example is with the ambulance vehicles, the standard component and facility inside an ambulance should be completely available in the vehicle itself. The provision of law would make the practice standardized with its set of protocols and procedures. By then, the country may welcome a better and more efficient, working emergency medical services system.